Here is AccurateShooter’s Forum Boss with the Ruger Precision Rifle (RPR). 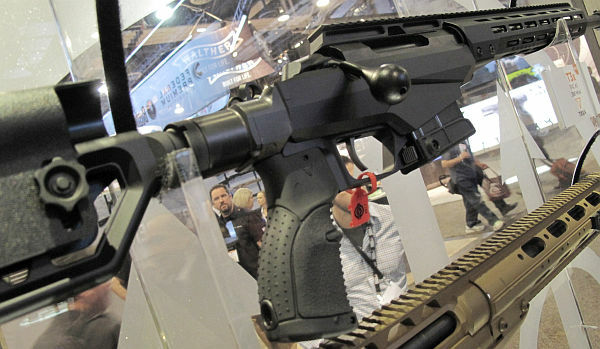 The commercial success of this innovative firearm inspired other gun-makers to release their own “blacktical” bolt-guns. It looks like 2017 will be the year of the metal-stocked, tactical-style bolt-action rifle. 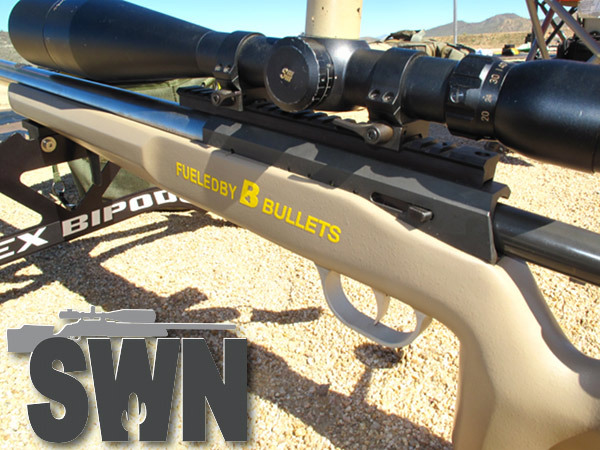 Inspired by the success of the Ruger Precision Rifle, other rifle-makers have built their own Blacktical Bolt-guns. These feature modular chassis systems with adjustable buttstocks. While optimized for PRS and tactical competition, these tough, versatile rifles can also be used for hunting. Popular chamberings are: 6mm Creedmoor, 6.5 Creedmoor, .260 Rem, and .308 Winchester. All the rifles showcased here retail for under $2000.00, so they can be campaigned in the new PRS Factory Class. Production Division combined rifle and scope MSRP as listed on the company’s website shall not exceed $3,000 USD, the rifle shall not exceed $2,000 USD and the optic not exceed $2,000 USD. [Editor: For example, you could have a $2,000 rifle with a $1000.00 scope or vice-versa. The total system cannot exceed $3000. Rifle alone cannot exceed $2000.00 retail sale price.] Production Division rifles are not permitted to be altered or improved in any way from the original factory configuration. The new Howa HCR Chassis Rifle combines a Howa 1500 barreled action with a modern aluminum chassis and LUTH-AR MBA-3 stock. Length of pull is adjustable from 12.5″ to 16.75″. Comb height is also adjustable. Weight with a 24″ barrel is 10.2 pounds (before optics) so the Howa HCR is lighter that many of its competitors. The Howa’s MSRP is $1299.00, a good value in this category. These guns feature a smooth-running action plus excellent 2-stage HACT adjustable trigger. Available chamberings are: .223 Remington, .243 Winchester, 6.5 Creedmoor, and .308 Winchester. NOTE: If basic black’s not your color, this rifle is also offered with a rugged, Multicam CeraKote finish. 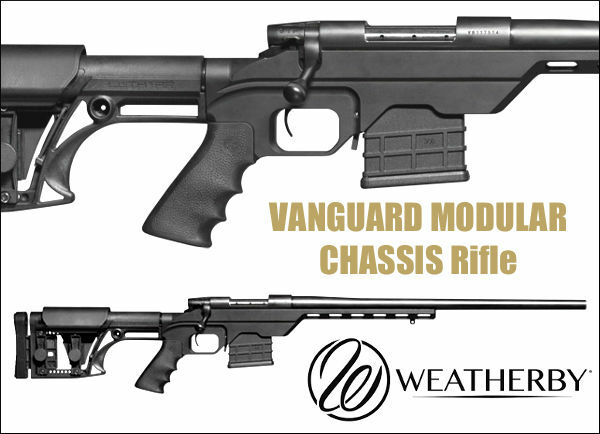 Weatherby’s new Vanguard® Modular Chassis (VMC) rifle features a Modular Driven Technologies (MDT) aluminum stock, Luth AR MBA-1 buttstock, and 22″ heavy barrel. The Weatherby Vanguard action is fitted with an adjustable 2-stage trigger. Priced at $1519.00 MSRP, this rifle is offered in three chamberings: .223 Rem, 6.5 Creedmoor, and .308 Winchester. As reported in the NRA Blog: “The XPC Rifle from Winchester Repeating Arms is a full-house precision chassis rifle based on their proven XPR bolt action. The stock features a Cerakoted fully-machined alloy chassis frame paired with a Magpul PRS Gen III stock. A full-length Picatinny rail allows for mounting optics, and M-LOK and QD mounts grace the XPC for easy attachments. A Magpul MOE-K grip rounds out the furniture, and the rifle comes bundled with one 10-round Magpul AICS PMAG and one five-round MDT metal mag.” The barrel is threaded for muzzle brake or suppressors. 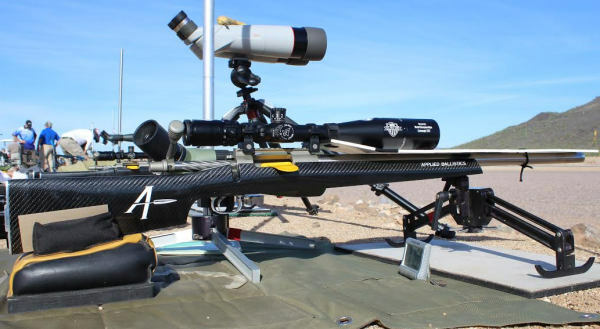 Share the post "Five Blacktical Bolt-Guns from SHOT Show"
With the Berger Southwest Nationals coming up soon (Feb. 6-12), we thought we would share some tips from a past Champion who really knows the Ben Avery range in Phoenix. In 2015, Bryan won the F-TR Mid-Range AND Long-Range National Championships hosted at Ben Avery. And at the 2014 Berger SW Nationals (SWN), Bryan took top honors among all sling shooters. 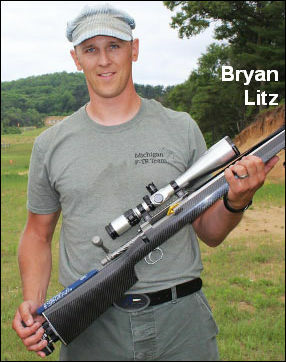 If you only know Bryan Litz from his Applied Ballistics Books and DVDs, you may not realize that this guy is a great marksman (along with being an actual rocket scientist). This guy can shoot. Given his impressive track record at Ben Avery, we asked Bryan if he had any advice for other long-range competitors. First Bryan provided three tips concerning Ballistics, his special area of expertise. Next Bryan offered three more general tips about long-range competition — how to analyze your shooting, how to choose your ‘wind strategy’, and how to avoid the most costly mistakes, i.e. how to avoid the “train-wrecks”. Ballistics TIP ONE. If you’re having trouble getting your ballistic software to match actual drops, you need to look at a number of possible reasons. Here are some common issues that can cause problems. Click Values Are Not Exact. Scopes and iron sights don’t always produce accurate adjustments. In other words, if your ballistics program predicts 30 MOA of drop, and you dial 30 MOA but hit low, it might be that your sight actually only moved 28 MOA (for example). To see if your sight is adjusting accurately, shoot a tall target at 100 yards and measure group separation when dialing your sight. Barometric vs. Station Pressure. This is a commonly misunderstood input to ballistics programs. You can avoid this pitfall by remembering the following: station pressure is the actual measured pressure at your location, and you don’t need to tell the program your altitude when using station pressure. Barometric pressure is corrected for sea level. If you’re using barometric pressure, you also have to input your altitude. Muzzle Velocity. Chronographs are not always as accurate as shooters think they are — your true MV may be off by 10-20 fps (or more). If your drop is different than predicted at long range, it might be because your muzzle velocity input is wrong. Mixing Up BC (G1 vs. G7). Knowledgeable long range shooters know that the G7 standard is a more representative standard for modern LR bullets. However, using G7 BCs isn’t just a matter of clicking the ‘G7′ option in the program. The numeric value of the BC is different for G1 and G7. For example, the G1 BC of the Berger 155.5 grain Fullbore bullet is .464 but the G7 BC is .237. If you were to enter .464 but click on G7, the results would be way off. Ballistics TIP TWO. A properly installed level is absolutely essential for long range shooting. Without a good level reference, your long range wind zero will be off due to minor canting of the rifle from side to side. You can verify that your level is installed correctly on a 100-yard ‘tall target’. Draw a plumb line straight up the target and verify that your groups track straight up this line as you go up in elevation. Ballistics TIP THREE. If your long range ballistic predictions aren’t tracking, always come back and verify your 100-yard zero. Sometimes a simple zero shift can be misconstrued as errors in long range ballistics predictions. Competition TIP ONE. Improving your scores in long range competition is a constant process of self-assessment. After each match, carefully analyze how you lost points and make a plan to improve. Beginning shooters will lose a lot of points to fundamental things like sight alignment and trigger control. Veteran shooters will lose far fewer points to a smaller list of mistakes. At every step along the way, always ask yourself why you’re losing points and address the issues. Sometimes the weak links that you need to work on aren’t your favorite thing to do, and success will take work in these areas as well. Competition TIP TWO. Select your wind shooting strategy carefully. For beginners and veterans, most points are typically lost to wind. 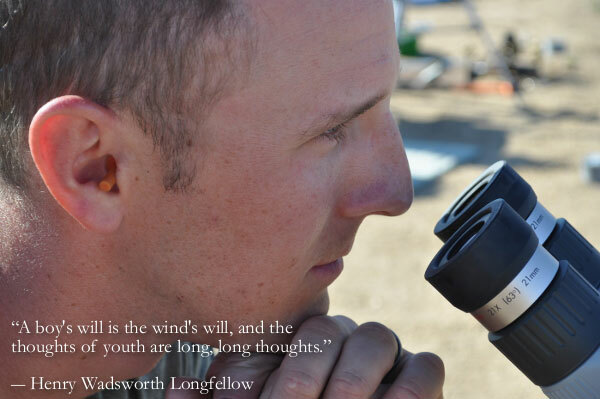 Successful shooters put a lot of thought into their approach to wind shooting. Sometimes it’s best to shoot fast and minimize the changes you’ll have to navigate. Other times it’s best to wait out a condition which may take several minutes. Develop a comfortable rest position so you have an easier time waiting when you should be waiting. Competition TIP THREE. Actively avoid major train wrecks. Sounds obvious but it happens a lot. Select equipment that is reliable, get comfortable with it and have back-ups for important things. Don’t load on the verge of max pressure, don’t go to an important match with a barrel that’s near shot out, physically check tightness of all important screws prior to shooting each string. Observe what train wrecks you and others experience, and put measures in place to avoid them. Share the post "Six by Litz — Tips for Shooting Long-Range"
If you spend money on any gun-related print publication this spring, we recommend you pick up the Hodgdon 2017 Reloading Manual. 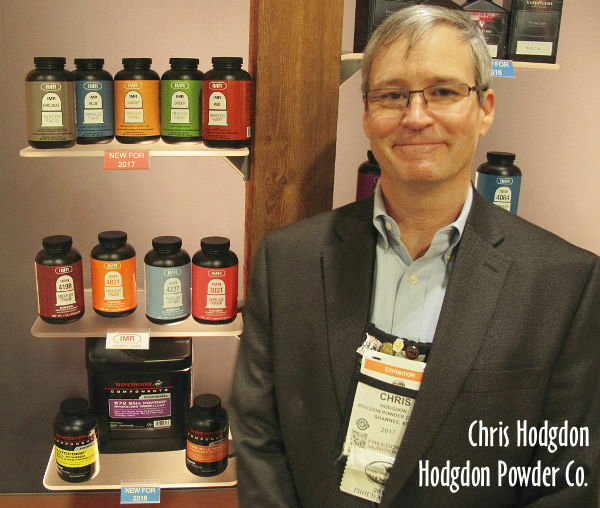 Available for just $6.99 at Midsouth, the 2017 Reloading Guide contains new load data for Hodgdon’s latest powder offerings, including new CFE BLK rifle propellant. This guide also contains important load updates for 32 rifle and pistol cartridges. 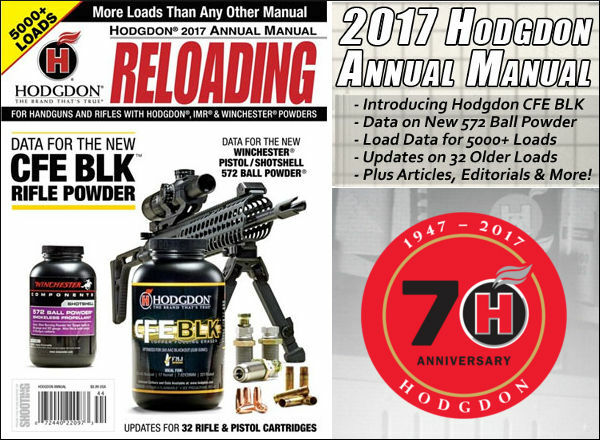 Along with over 5000 load recipes, the 2017 Hodgdon Reloading Guide features many informative “how-to” articles that can help you achieve the best results with your hand-loads. 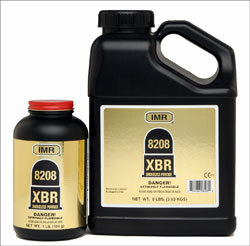 We concur with Chris — we’ve used 8208 XBR in a .308 Win and it shot exceptionally well. It is definitely “match-ready” powder for cartridges that like a medium burn-rate powder, such as the .308 Winchester, 7mm-08, and 6mmBR Norma. Share the post "New Hodgdon Reloading Guide Available"